OM VISA Consultancy - Global Immigration, Students, Visitor, Business & Work VISA Consultants: Want to study in Poland for Oct, 2017 Intake !! 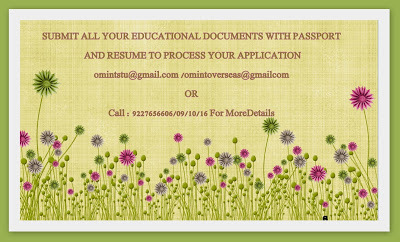 Apply Now with application fee and without IELTS for Bachelor and Master Degree @ Gujarat Leading visa consultancy- Om International Vadodara. 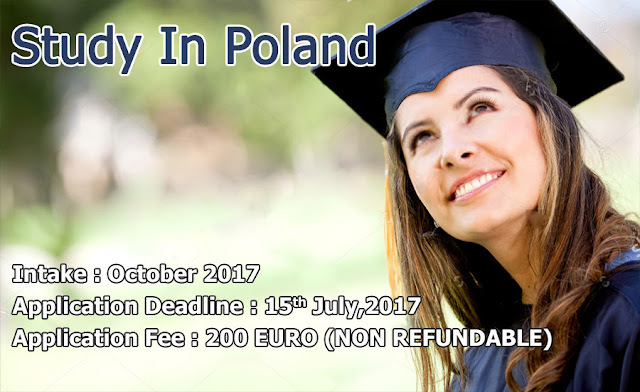 Want to study in Poland for Oct, 2017 Intake !! Apply Now with application fee and without IELTS for Bachelor and Master Degree @ Gujarat Leading visa consultancy- Om International Vadodara. Greetings From Om International !!! • Ranked fifth among the best places to study in Europe. • Enriching culture experience to incoming students worldwide. • Low tuition fees and living cost. • Every year half a million freshmen enroll in university studies. • Student can work part time of 20 Hrs a week. the proof submitted by the English Medium Letter from School/College.